Carriage Ride Smile: I saw you while waiting in line for the carriages rides at Corbin Park this Sunday. Your coy smile and kind words kept us war during the wait. Thank you for that. Hope you enjoyed your ride and got your toes warm soon after. Seriously....here? It's been forever since I wandered into the Checkerboard... of ALL places! I actually thought it had closed down. So glad it has not! Maybe it was the few too many $1 pints I had...IDK? BUT, pretty sure I finally met the ONE! In the damn Checkerboard, of all places! Who would have thought? Of course, I didn't get your number, since we were too busy. :) Me, blonde and thin, blue eyes. You.. wow! Dark eyes and hair, wearing a red and black flannel! They have trivia on Tuesdays! Let's flex those brain cells this time! I hope to see you there!! CDA Lowes beautiful key gal: 11-25-18, around 9:50 am. You caught my eye from a store length away, as I walked closer I became even more twitterpaited, then I walked by and got a whiff of your fragrance and was totally distracted after that! I was waiting around the checkout area for my mom and when you went to check out, you asked me if I was waiting in line. You, long beautiful black hair, long sweater, blue jeans and Birkenstocks. Me, distracted and having to return for everything I forgot. :) If this is seen, maybe coffee? 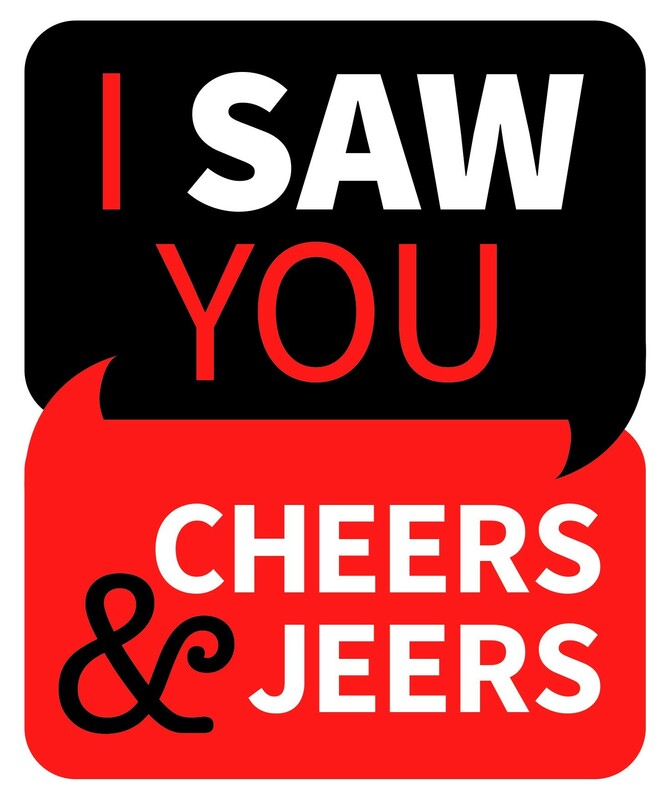 I saw you. But wished I hadn't: To business people, students, civil servants or anyone presenting information to a group using PowerPoint. For the love of St. John Chrysostom (Patron Saint of Orators and Lecturers), please STOP using the "stand up at the front and read each one of your slides out loud" method of presenting information. It's a pretty safe bet that your audience can already read. We don't need you to read slides out loud for us, unless perhaps the goal of your presentation is to beat the audience into submission through complete mind-numbing boredom. Please have mercy on your audience and search YouTube for presentation tips beforehand. Sunday chowder date: Thank you for taking me to Skippers on Sunday. It brings back fond childhood memories and helped warm us up. Their chowder is one of my very favourites and I like seeing the last remaining location in the area get business. Even if you don't like fish or chowder, I know you like me because you are willing to put that aside to share in something I enjoy. One year! Happy one year anniversary of moving into our place. Even if our celebratory dinner was interrupted by a flood... we still made the best of it. As you said, it's a reminder of how far we have come, that we still choose each other and that we can survive any trial. Love you. Respect: To the single mom walking an hour to work in the early morning: much love and respect. You're a strong and beautiful woman. Keep your head up, good things come to people like you. Guns and violence: Here ye, here ye! Guns do not create violence, they are only mechanisms for violence. The only way to stop a bad guy with a gun, is a good guy with a gun. Oh you want evidence? Just look at Emantic Bradford Jr, the guy had a conceal-carry permit and was a good guy trying to help stop a mall shooter. That ended well for the good guy with a gun. Background music: Jeers to establishments that play music so loud that customers can not talk with fellow customers without screaming. It is especially frustrating in restaurants. They need to decide if they are a bar or a restaurant. Recently lunched on Monroe and we were the only two in the place, sitting across the table from each other and could not talk over the awful and loud music. I am sure the young cooks rocked on to it, but we won't return. Apparently, by the lack of patrons, we are not alone. Employees comment on it too, hate to be them listening to that loud noise all day. You Lost my Dog: Jeers to the person who broke into my back yard near the Perry District, allowing my black and white border collie to wander off. Moro is now lost and has been lost since nov. 27. If anyone sees her call 509-944-6392.